This year I wanted to try out a couple of different features, one of which is a monthly wrap up of all the books I read in the month, reviews posted, blog posts posted and other information that may or may not be interesting to you. This is still in a trial stage for me at the moment, but to be honest, I’m kind of excited by the format and its an easy way to both track and regulate my progress. The infographic below was tricky as I’d never designed one before in my life, but I’m 90% happy with it. 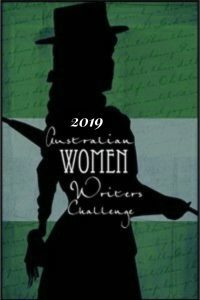 Next time I think I will include a challenge update with my Goodreads and Australian Women Writers Challenge progress. Looking back on January 2019 I had a good book month over all. My official book stats differ to those on Goodreads due to a number of the books having not been loaded into the system. While it’s true to other year’s my January book numbers are down, I’m not worried as 22 books for the month is still a really good kick start to the year. As a whole, I do want to improve the number of novels vs picture books stats however and the number of reviews posted; I did expect the later to be low as I planned out some new concepts for the blog behind the scenes. I have never read one of them. I might need to read the series.